may all of your wishes and dreams come true, and may you feel this happiness all year round. This season we're celebrating love with lot's of exciting offers. New season gowns arriving now in store. Since 1956 Raffaele Ciuca has defined bridal style and celebrated Australia’s greatest love stories. To celebrate THE SEASON OF LOVE we want to share your proposal stories, whether you are married already or due to wed, we'd love to hear the story behind your promise. 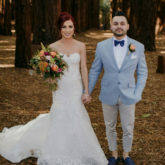 #rcrealbride Becky wore our stunning Onesi crepe wedding dress by Pronovias for her wedding at the Abbotsford Convent​. We met on a Contiki trip in Europe, we spent 25 days on a bus with 40 other people seeing the sights and partying around Europe. After the Contiki tour, we travelled around Europe for 6 weeks together. We then did long distance from Perth and New Zealand for 6 months before deciding to move to Melbourne together. We were on holiday in the Kimberley region in WA and Paul had organised for us to spend the night on a luxurious houseboat at the horizontal waterfalls a natural wonder of the area. We took a helicopter ride over the waterfalls at sunset, the helicopter then dropped us off on a private pontoon where Paul proposed and we popped some champagne. The helicopter then picked us up and we spend the night celebrating on the boat with the other guests. 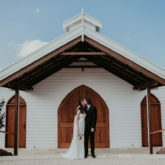 We had a lot of guests travelling from all over the world so it was important that we could have the ceremony and reception all in one location. Abbotsford Convent is such a beautiful place with a wonderful history and we felt it really represented Melbourne in the best way. We also loved that we had creative freedom to decorate the reception room as we wanted. It meant we could make the room really reflect us as a couple. It was seeing Paul standing at the altar when I walked into the church. It felt like it was just him and I in this wonderful moment together. We looked at each other as I walked down the aisle we were both crying and every time I think about it, it makes me smile. I wore the Onesi by Pronovias Dress. It made me feel beautiful and amazing. I have never worn a dress that fitted me so well. I wanted something modern with some traditional elements like the lace. I loved the pure white element it really made me stand out on the day and the train made it have a bit of a dramatic feel. It was really great! My Mum and I went dress shopping together and we met Jo at the Armadale shop. She was so amazing at listening to what I wanted and making recommendations. She made me feel really special throughout the whole process. I had 2 alterations and the team were great I was over the moon at my final fitting the dress was just perfect! Experience High Street Armadale luxury in our glamorous conveniently located Emporium. Let our expert stylists guide you through our extensive collection of the latest in bridal. 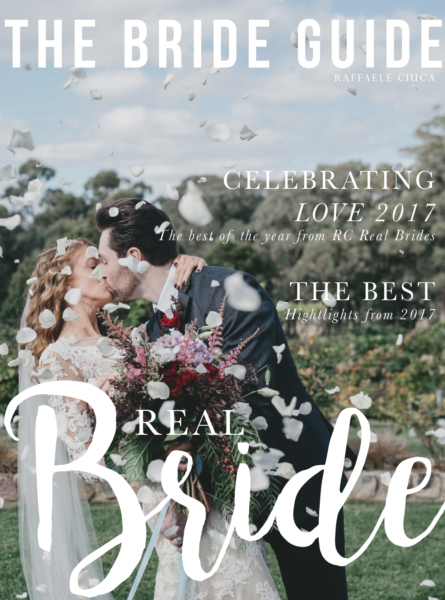 Sydney Road’s flagship Bridal Emporium; Raffaele Ciuca Brunswick will impress with the ultimate bridal shopping experience with over 250 styles to choose from including our new RC Curve Collection. 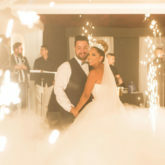 Raffaele Ciuca Bridal strives to exceed our customers’ expectations. We have opened a Luxury Bridal Suite above our Armadale Emporium. This is a VIP experience like no other in Australia.